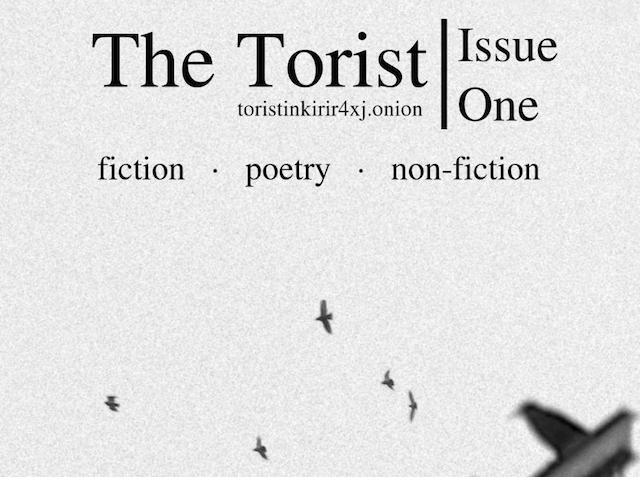 The Torist is a newly launched literary journal, edited by University of Utah Communications associate professor Robert W Gehl and a person called GMH, collecting fiction, poetry and non-fiction. It is only available as a file on a Tor hidden service -- a "darkweb" site, protected by the same technology as was used by the likes of Silk Road. Authors have the option of being anonymous, and the journal accepts submissions all year round. “It's an intriguing idea—to swim against the current popular conceptions of anonymity and encryption,” Gohl said. “I believe communication, especially reading things on the internet, should be private by default and that that should only be interfered with in very exceptional circumstances,” he added.